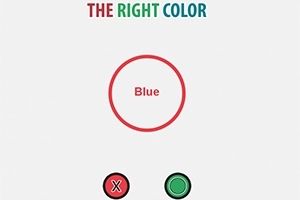 You need to check if the name of the color written matches with the color displayed. You think it's a breeze, huh?! Play with your friends and compare your scores!